Homeowners insurance (HOI) is a must-have for any homebuyer, and will likely be the most demanding portion of your budget. There are several different types of homeowners insurance and it is helpful to know a bit about each in order to decide which one suits your needs best. You’ll also want to know exactly what your policy covers, so make sure to shop around for the best price. It is important to know the 16 named perils that policies address in their coverage. Certain policies may cover all of these, or only particular ones. Of course, depending on where your property lies, you will be more at risk for some than others. There are six basic types of HOI, each one reflecting particular needs. As they say, different strokes for different folks. 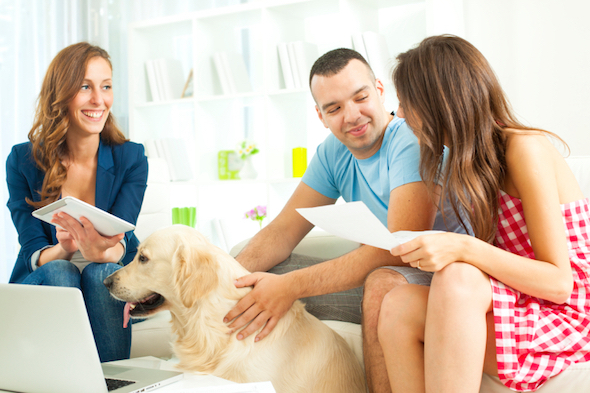 The different types of policies were designed to address the nuances that homeowners face. Read on to see which one would fit you best. This type of insurance is void in most states, and has been mostly replaced by HO-2. 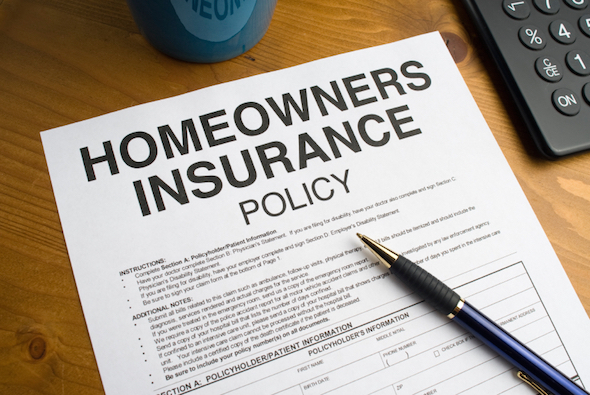 This policy is a basic coverage plan that protects against 10 of the 16 perils, including the contents of your home. This policy covers all 16 of the perils. As long as an inventory has been provided for verification reasons, the insurance will protect additional houses on the insured property and all of the insured’s property. This is like the HO-2, but none of the 16 is covered right away. Your coverage with this option will depend on what state you live in, which company you purchase from, and which options you structure for yourself. This type of insurance is designed with renters in mind. It covers the property of the insured, but not the building or residence of the insured. HO-4 protects the insured from all of the 16 perils, as long as the property is in the building. This is the basic renter’s package. This type is also customized to suit non-home needs. HO-6 is ideal for condo and co-op owners. This policy combines the basic renters model with the addition of insuring add-ons and other structures that the insured may add to their property. For the properties that are oldies but goodies, HO-8 is the ideal policy. This policy is very similar to HO-2, except that the value is limited to cash settlements and repairs. Older houses often need repairs that exceed the value the house was insured for. HO-8 was designed in order to address that issue. Each of the above policies details what kinds of properties are protected against all or some of the aforementioned perils. There are also 6 different types of coverage that explain the specifics of what is insured on and within your property. Be sure to discuss with your provider the limitations of your coverage, especially of you live in an earthquake or flood-prone area, as HOI does not typically cover these events. Dwelling – This type covers your home and structures attached to your home, including installed air conditioning systems, plumbing and electrical systems. Other Structures – This coverage insures tool sheds, fences, garages, pool houses, and other structures not attached to the main dwelling. Personal Property – This type of coverage insures your personal belongings within your home, as well as property that may be off site in a storage unit or at another house. Loss of Use – If you need to stay somewhere else while your home is being repaired from damages, this coverage will help with some of your living expenses. Personal Liability – This coverage will provide reimbursement for losses caused by legal responsibility for injury or damage to another person. Medical Payments – If someone gets hurt on your property or by your pets, this coverage covers the cost of medical payments. Homeowners insurance is an essential part of becoming a homeowner, so you will want to learn all you can about the ins and outs. Be sure to ask your insurance provider plenty of questions to insure that you are properly covered. Now that you know what the basic polices and coverage types are, it’s time to research and select a provider.